If an app isn't responding, you can force it to close using Force Quit. Choose Force Quit from the Apple menu, or press Command-Option-Esc (this is similar to pressing Control-Alt-Delete on a PC). 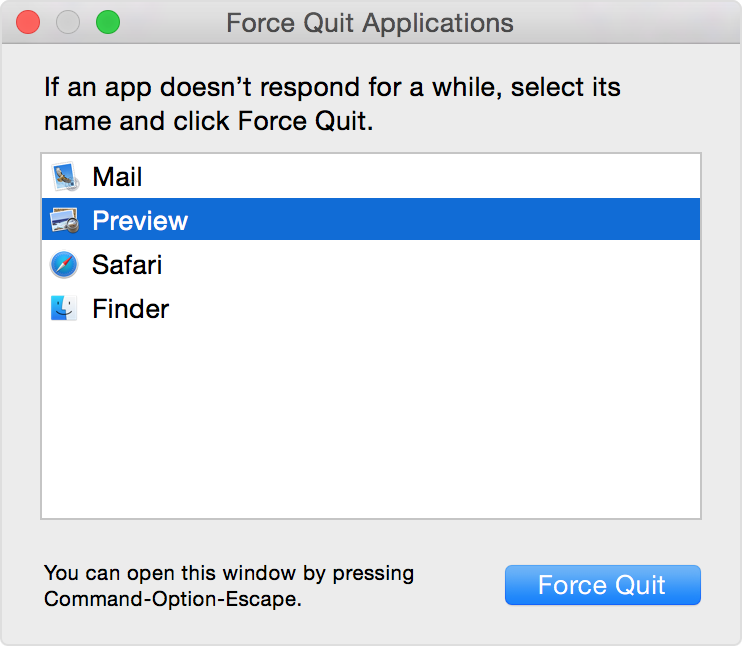 Select the unresponsive app in the Force Quit window, then click Force Quit. 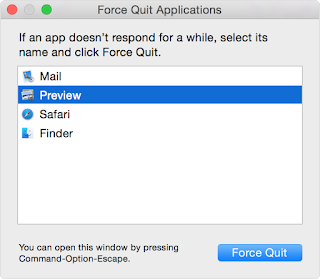 Generally, you shouldn't need to use Force Quit unless you can't close an app normally. The Finder is an app that your Mac keeps open, so there isn't an option to quit or close this app. If the Finder becomes unresponsive, you can use Force Quit to relaunch it. Select Finder in the Force Quit window, then click Relaunch. If none of your apps are responsive, you can force your computer to restart.